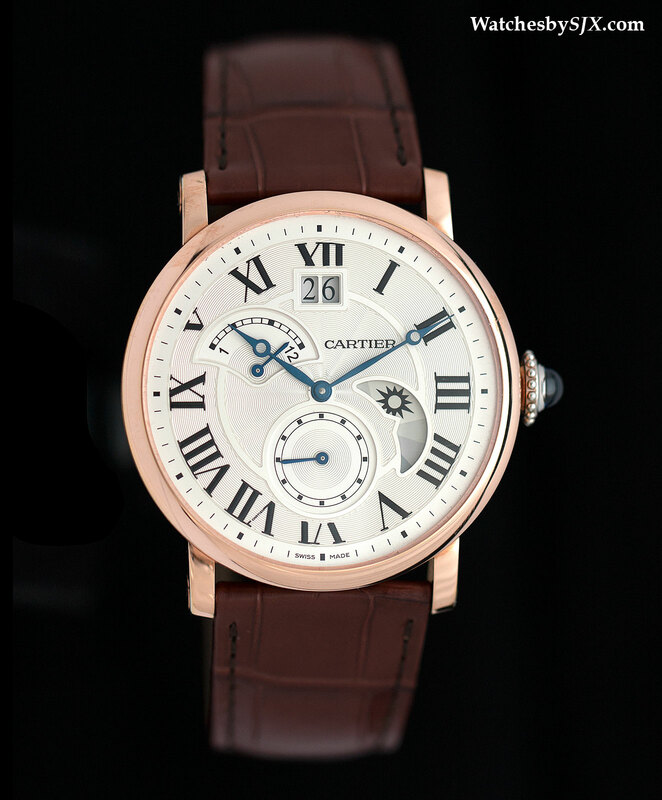 Conceived as an entry-level complication in Cartier’s line of timepieces with in-house movements, the new Rotonde De Cartier Second Time Zone Day/Night offers practical functions at an accessible price. 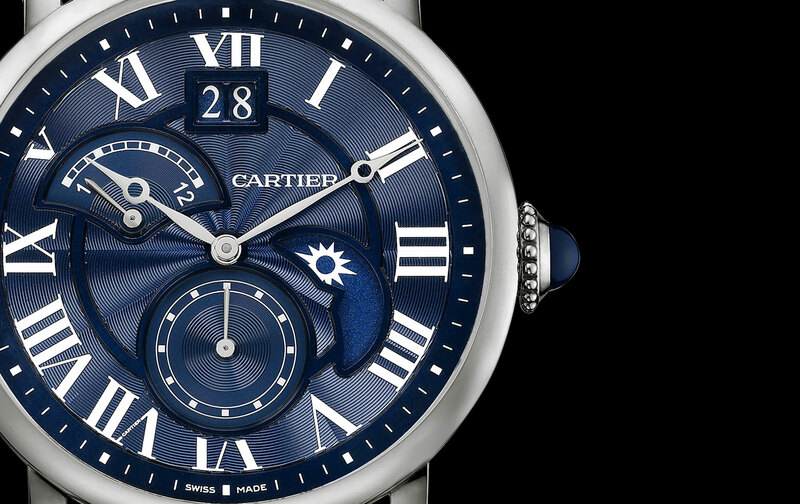 Cartier has been slowly but surely growing its range of petit complications for men, wristwatches with basic, practical functions. 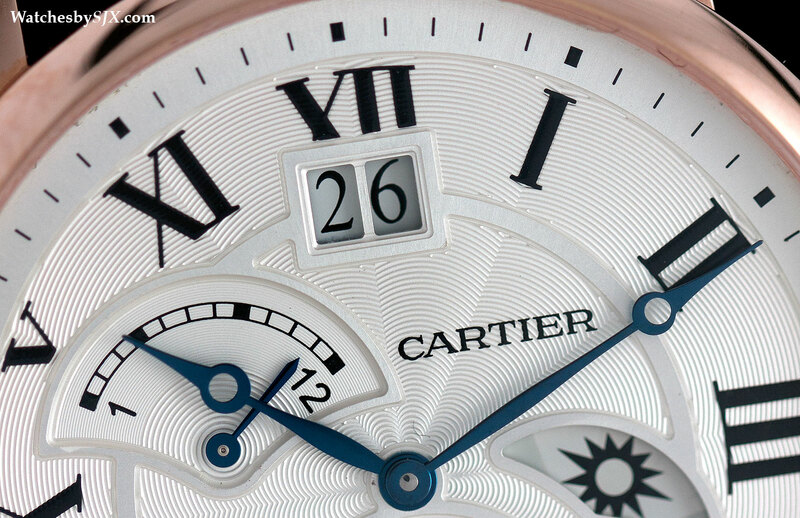 The new Rotonde De Cartier Second Time Zone Day/Night is just that. Starting at under US$10,000 in steel, it features a unique retrograde second time zone display, along with an oversized date. And while the watch has the easily recognisable Cartier house style, the look is made a little bit more interesting with its asymmetric dial layout. Pressing the crown advances the second time zone by one hour steps. What makes the dual time display unusual is the retrograde home time indicator, on a fan-shaped scale at 10 o’clock. Because only “1” and “12” are marked on the second time zone indicator, reading it takes a bit of counting sometimes. But the scale is divided into four hour segments, which makes it slightly more legible. A day and night indicator at four o’clock works in tandem with the second time zone display, showing if it is daytime or night-time in the home time zone. 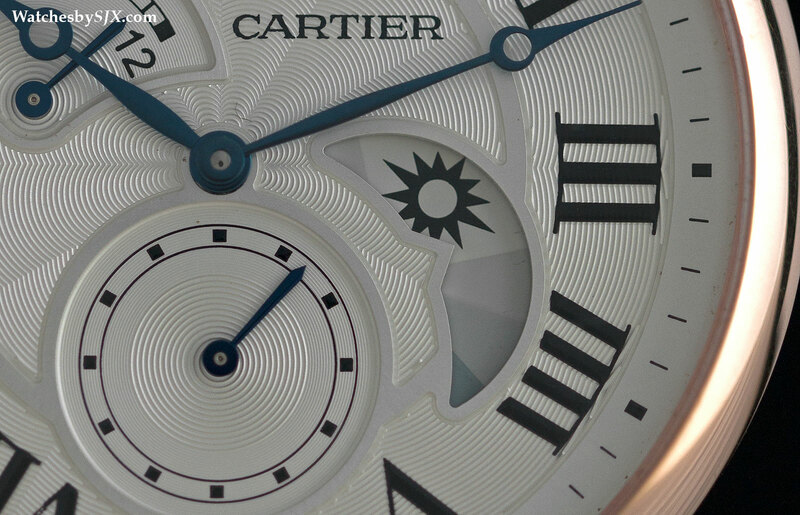 The stylised sun and moon have a slight Art Deco feel to them, an aesthetic Cartier often uses for its day and night displays. 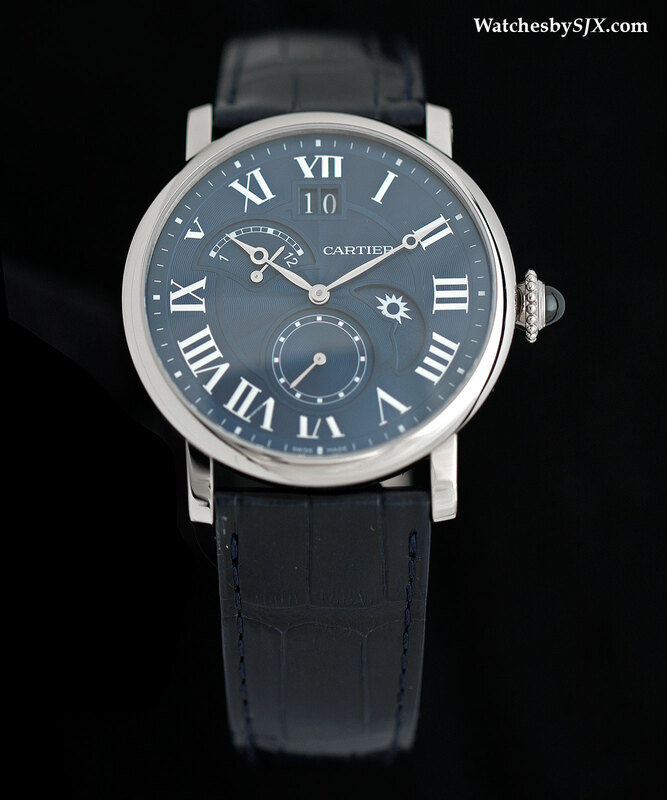 Though the layout of the dial is novel, the overall design is typical Cartier, with Roman numerals, blued steel Breguet hands and a silvered guilloche dial. The case is 42 mm, but a slim 11.96 mm high. A display back means the 1904-FU MC movement inside. 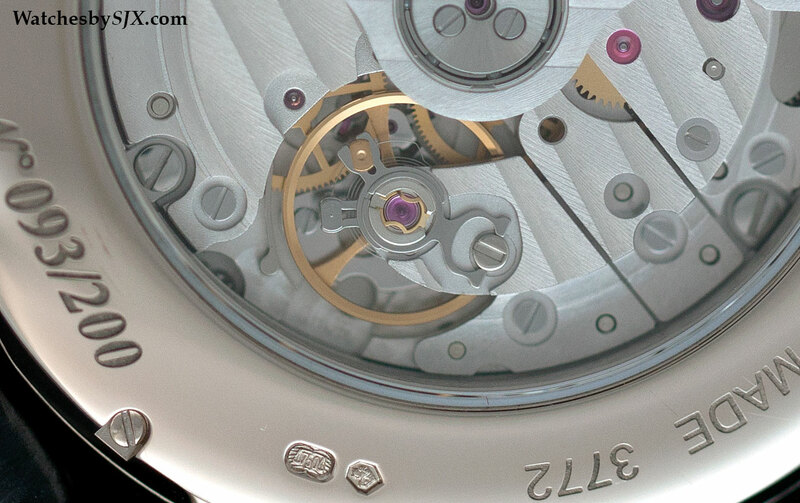 Though it has been finished to a degree commensurate with the price point, the choice of a monochromatic rhodium finish for most of the movement means there is little to engage the eye. While this is part of the regular collection, the white gold version is a limited edition of 200 pieces, with a brilliant blue guilloche dial. 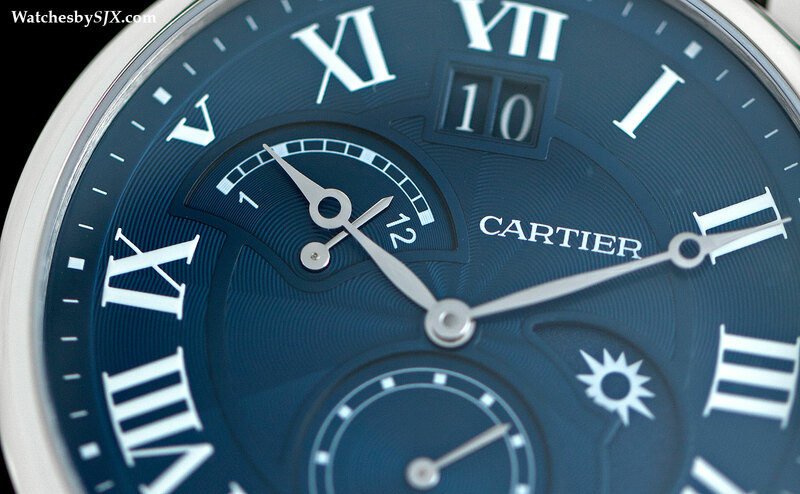 It’s a colour infrequently found on Cartier timepieces, often used only for limited editions. Though the white gold limited edition is the most striking, it is also the most expensive at US$27,800. The rose gold version costs US$26,000. 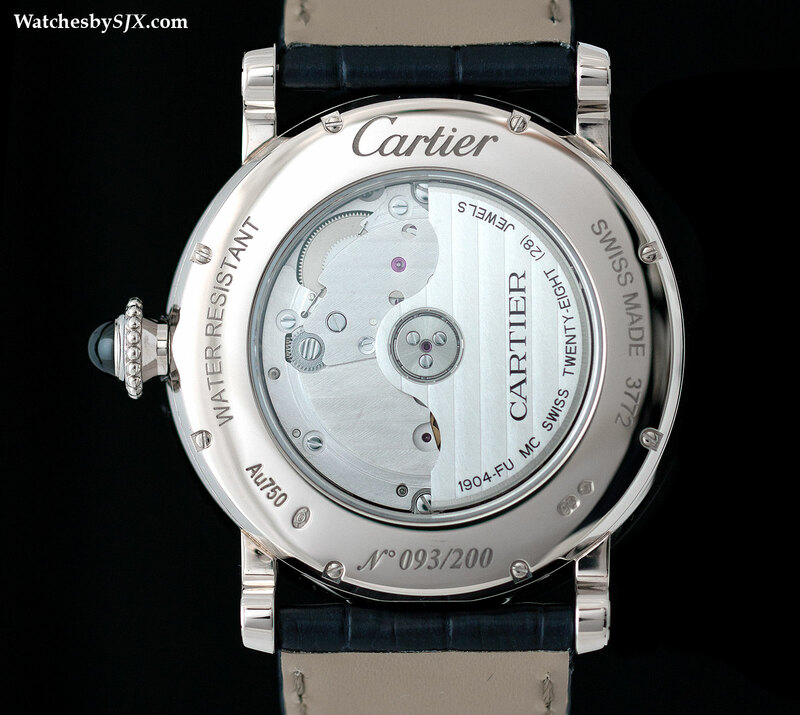 On the other hand, the price for the steel model is an affordable US$9650, positioning it very attractively, even against brands traditionally well regarded for value, like Jaeger-LeCoultre. With the slowdown in the luxury watch market, expected to see more reasonably priced, small complications just like this.